Learning and adding to our personal knowledge is integral to continued growth and development. As a leader, everyone in the company looks to you for strategic direction. Meaning you need to keep a handle on the market, the products or services you provide, while at the same time inspiring your employees and influencing the stakeholders. The most successful CEOs and executives are those who work hard, develop the right daily habits, and often read for personal development and business growth. We’ve rounded up 10 powerful and inspiring books you should be reading to sharpen yourself and grow your company. You already know the top most influential companies in the world are Amazon, Apple, Facebook, and Google. 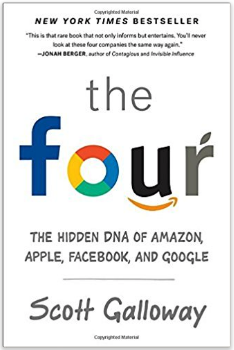 In his book, ‘The Four,' Scott Galloway, a professional at a New York University and a serial businessman seeks to explain why the four companies got where they are today. Galloway captures the power and success of the four companies better than any other book available. He refuses to buy into the myths that these companies have been disseminating over the years and instead asks fundamental questions around the reason these companies have impacted so much of our lives and why it’s impossible to avoid them. Why they don't seem to suffer the impacts of the stock market over sins that would jeopardize other companies? And, is it possible to challenge them as they head toward becoming the world's first trillion dollar companies? ‘The Four' will help leaders understand the strategies used by these four companies, how to manipulate the emotional needs of your customers, and how to grow your company in a similar way. Gabriel Weinberg and Justin Mares offer an in-depth explanation of the importance of traction in business. They go on to assert that however promising your company looks, if you're not getting traction, then you have reason to worry. 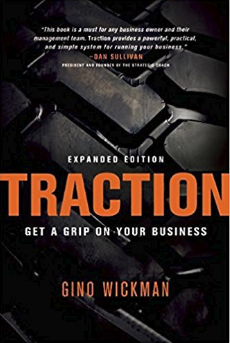 ‘Traction’ reiterates that the key to business success is continued growth and acquiring customers for the company’s products and services. Both Weinberg and Mare argue that once the business has grips on its traction, the rest will ultimately fall into place. Further, they teach leaders how to build a customer base, and the best way to customize the advice they offer to build a better company. Why is it that only a few companies make it while the rest fail? 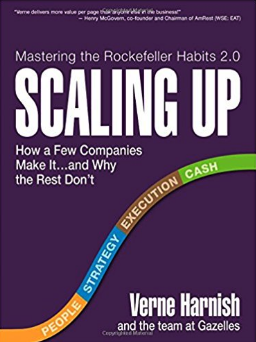 Scaling Up, by Verne Harnish, is yet another must-read book for CEOs and executives. Harnish and his team share the most efficient business tools and tactics that will help you grow a company that dominates your industry. The approaches in ‘Scaling Up’ have been honed for a duration of over three decades. Harnish and his team have been advising top CEO's and executives on how to navigate the continuously increasing business complexities involved in a scaling up a venture. Learn the framework and the formula behind HubSpot’s remarkable scaling efforts. 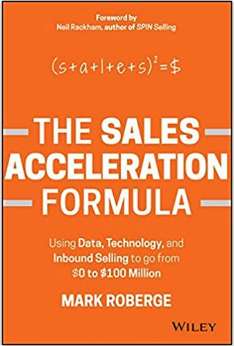 In the ‘The Sales Acceleration Formula,’ Mark Roberge reveals the very practices that propelled HubSpot into what it’s become today. In this book, CEOs and executives will learn the impact of lead generation, marketing and sales data, pipeline and activity metrics, and sales technology for better business. 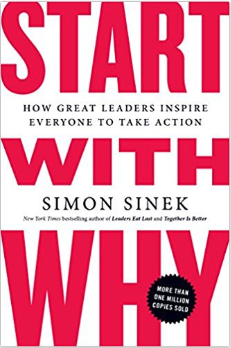 You have to read ‘Start With Why' if you want to learn how great leaders inspire action. Written by Simon Sinek, the book has sold over one million copies and takes a look at some of the questions everyone at the helm of a business should be asking themselves. He insists that you leaders must understand the reason the company is in business and the source of your inspiration. Sinek argues that the most essential step and the foundation for understanding your value system and how it relates to your customers and your team is asking ‘Why?' right from the onset. Written by Martin Lindstrom, Buy•ology will help CEO's and executives understand the mindset, the power and the reasons why customers buy. We’re in a cluttered digital world where ads and marketing messages are the order of the day. With all that noise, it can be challenging to reach out to customers. 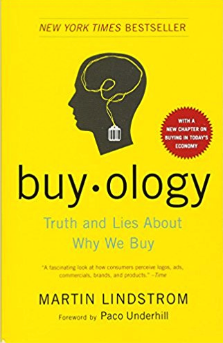 Buy•ology will help you learn what your consumers want and how to connect well with them. Do they want an infectious jingle, an eye-grabbing slogan or a catchy advert? What content or approach really informs your customers’ buying decisions? 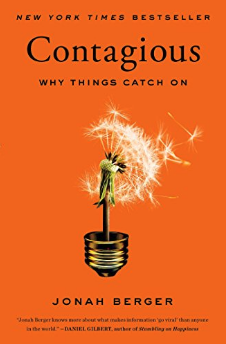 Written by a Wharton marketing professor, Jonah Berger, ‘Contagious' is a New York Times bestseller. In this book, Berger seeks to explain the question of what makes something popular? What makes products and services go viral? Why do products get word of mouth? Why does the social influence shape our daily lives from the clothes we wear, how we name our children, the cars we buy to the food we eat? Berger argues that advertising is not the reason things become popular. He proceeds to reveal the actual science behind the word of mouth and social information transmission. In the book, Berger gives you the six principles that drive all manner of things to become contagious. While at it, the book ties the research all together with catchy stories. 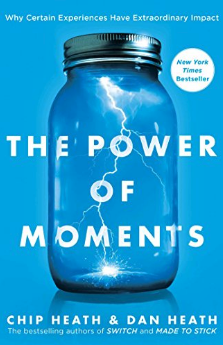 Cheap and Dan Heath argue that by creating and exploiting moments, we can build strong loyalty among our customers and staff. At the same time, our business would gain a lot more from our work and personal lives. According to the two brothers, moments are both meaningful and memorable. They devised a system for introducing these wonderful moments into the organization. Get the book if you want to replicate the system in your company. In this digital world, business competition has become so tight such that mediocre content & adverts that our customers don’t care about will not impress them or convert. 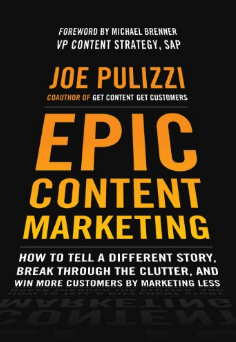 Joe Pulizzi is a leading expert in content marketing. 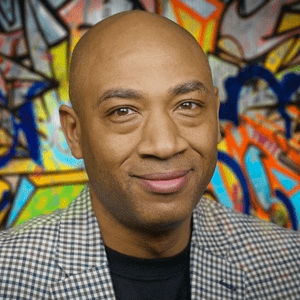 His book ‘Epic Content Marketing,’ goes into detail about how leaders can attract more prospects as well as customers by simply creating information and content with which they want to engage. Joe Pulizzi teaches how to tell an entirely different story, navigate the clutter and win more customers while marketing less. With this book, you’ll have access to the tools necessary for creating and distributing content that guarantees greater profits and growth. We’re in a quickly evolving marketing world meaning that you must stay at the top of the game or you're gonna get left out. 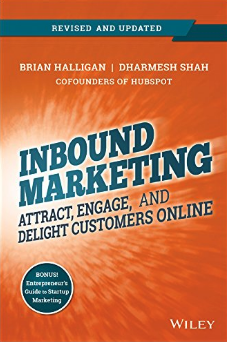 If you want to change the way you promote your business, products, and services, then you must read ‘Inbound Marketing' written by the team of HubSpot founders. The team has broken the book into three actionable sections: Social media, Content creation and How to optimize for SEO so leads, and prospects can find you. ‘Inbound Marketing’ explains the reasons outbound marketing tactics like cold-calling, advertising, direct mail and even email blast are getting increasingly less effective. People are now turning to Google, social media and blogs to find their products and services. So, as a CEO or an executive, your company should put all efforts to take advantage of this change. In their copy, the HubSpot team goes into details regarding ranking on Google, business blog building and promotion, growing and nurturing social media, analytics, and the need to do more of what works for your company online.